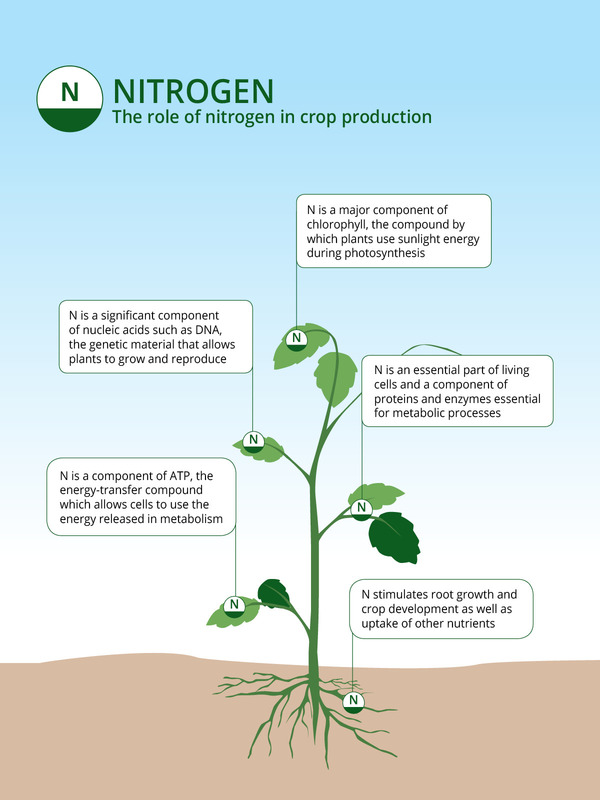 Nitrogen is an important component of many essential structural, genetic and metabolic compounds in plant cells. It is also an elementary constituent of numerous important organic compounds including amino acids, proteins, nucleic acids, enzymes, and the chlorophyll molecule. Of all the essential nutrients, nitrogen is the one that is most often limiting for crop growth. Nitrogen is the nutrient which normally produces the greatest yield response in crop plants, promoting rapid vegetative growth and giving the plant a healthy green color. Roots take up nitrogen in its inorganic forms, nitrate (NO3-) and ammonium (NH4+) ions. Once inside the plant, NO3 is reduced to the NH2 form and is assimilated to form the organic compounds. Adding nitrogen is not recommended for legume crops such as soybean, since they manufacture their own nitrogen supply. Nitrogen-fixing soil organisms (rhizobium) associated with the roots of legumes capture atmospheric nitrogen and make it available to the plant. Plants lacking nitrogen have very slow growth and look weak and stunted. Older leaves have a light green or yellow color. 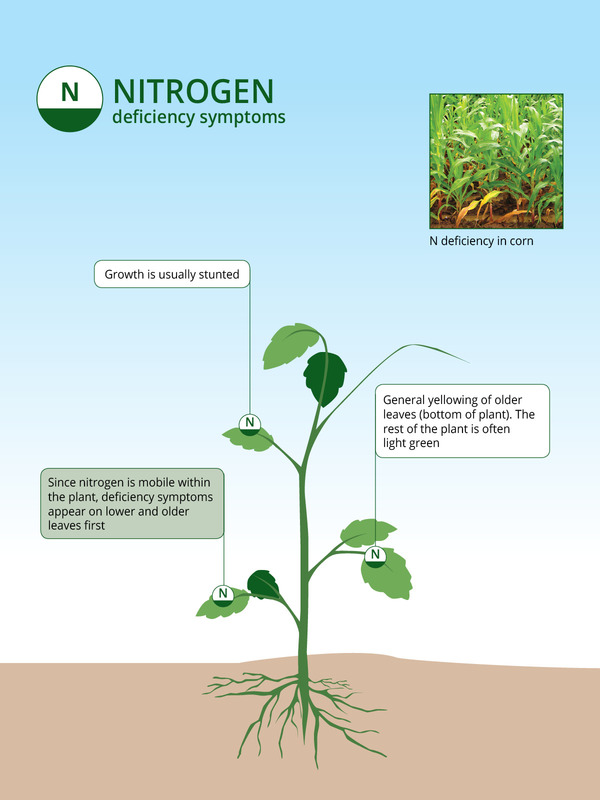 As nitrogen is mobile in the plant and moves to where it is needed, these older and lower leaves are always first to show symptoms of deficiency.